I’ve had a very VERY busy day today – I killed my back, shoulders and biceps at the gym from 9.30 am to 11.30 am! I’m finally starting to se some upper body gains and I LOVE it! After the gym I went straight to the Academy (school) from 12 am to 9.30 pm! 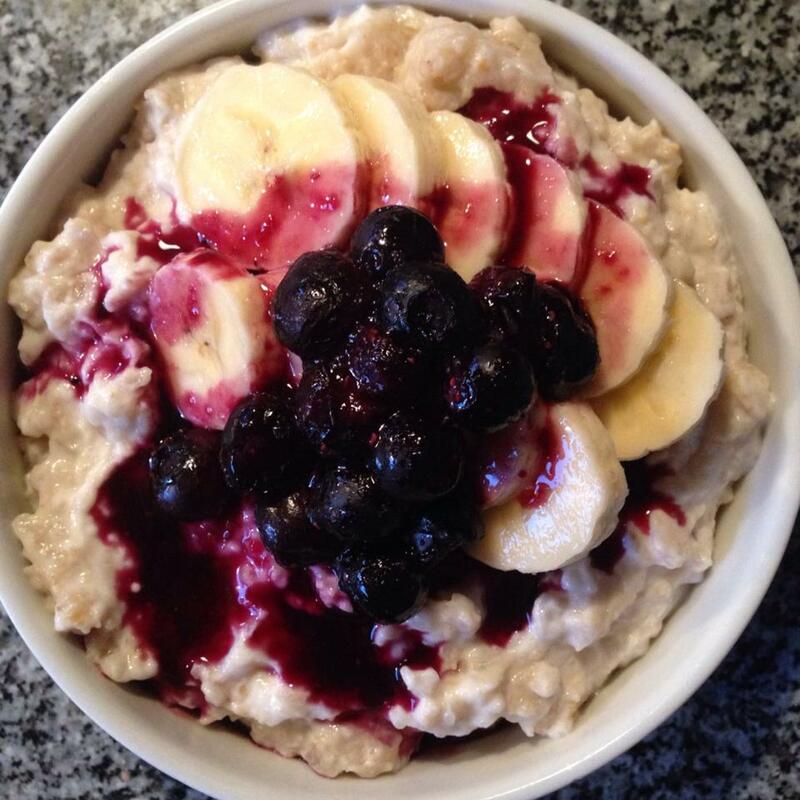 Going trough such a long day requires some serious fuel for breakfast – so I had this oatmeal bomb! For the oatmeal: 1dl oats, 2dl water, half a banana and a little salt. 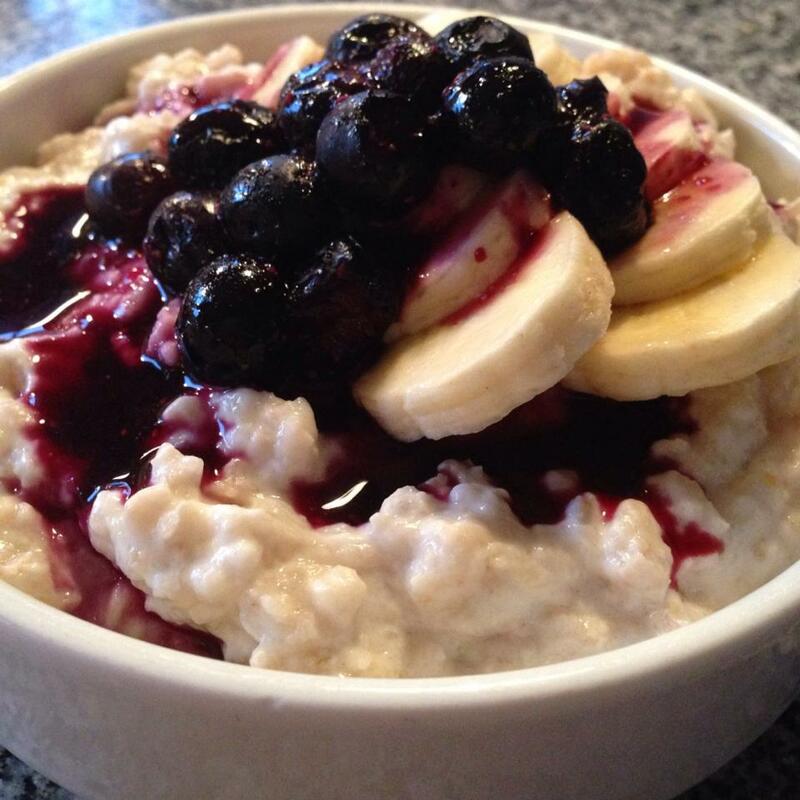 How to: Cook the oatmeal in a pot or the in microwave until it becomes thick and delicious. Take it of the heat, mix it with the yoghurt and let it cool down in the fridge for a few minutes. Put the frozen berries in the microwave until they are all melted. 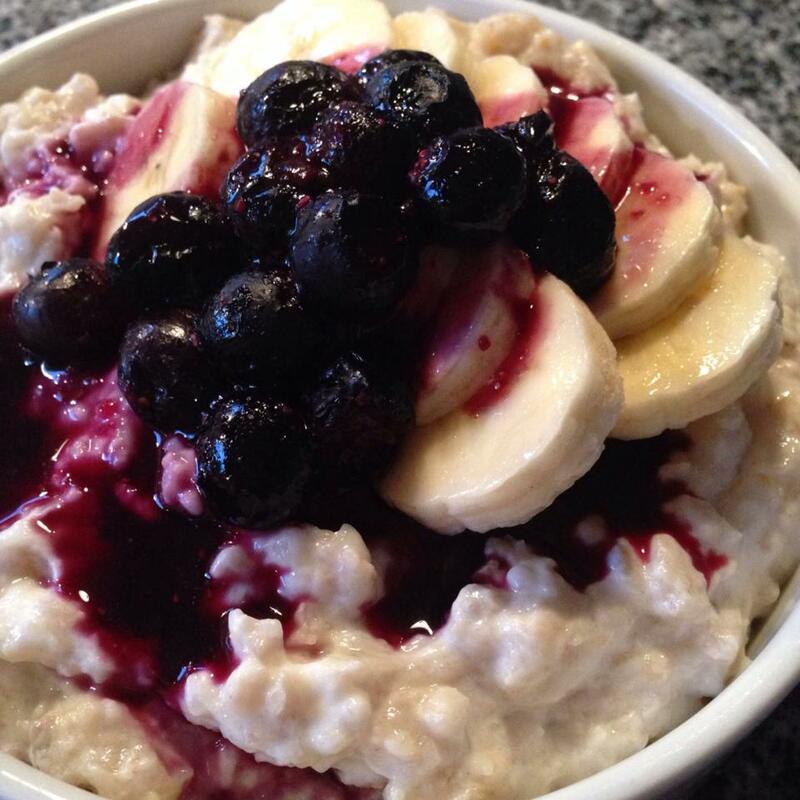 Then top the oatmeal with sliced banana and hot berries. AND EAT!